Our Door Set murals are all modular in design, and may be configured with a variety of background walls, door surrounds, flora and coloured doors to suit your purpose. Please view the How To Customise Tab to see how you may personalise your mural. This Door Set mural comprises three drops of wallpaper (one above the door and one on both sides) and a Door Print. It is designed to fit around a standard size door frame, and at 240cm high, it is intended for walls less than 280cm high. View the Details Tab for more information. 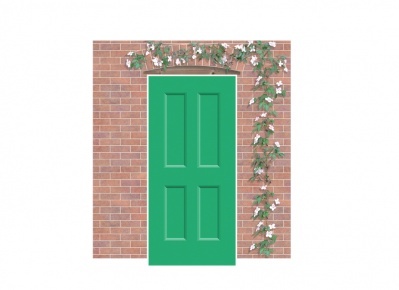 A colourful Door Print is included with this Door Set. 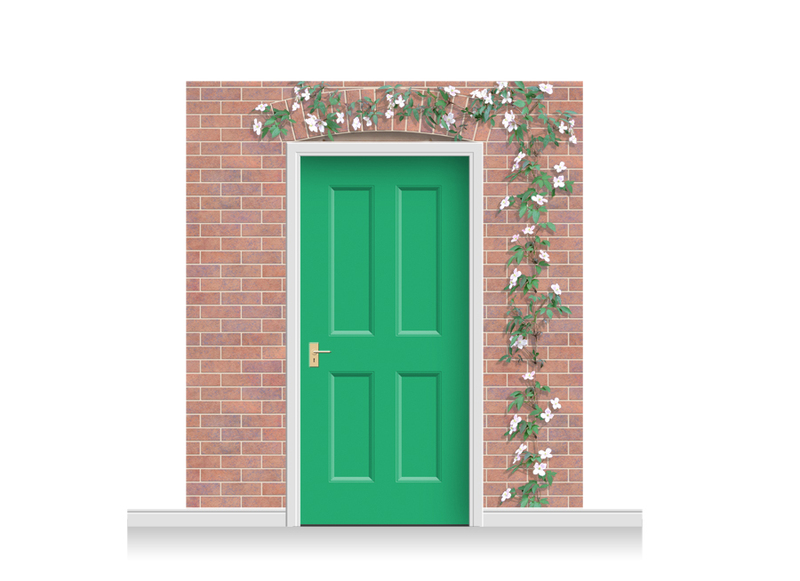 If you want a different coloured Door Print, please select the alternative Door Set without a Door Print, and then choose a separate Door Print with the colour of your choice. 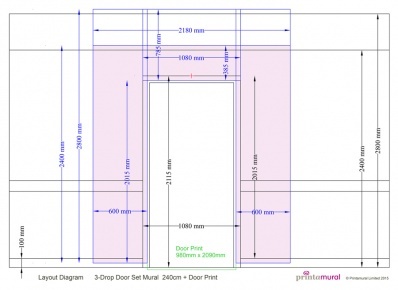 Please be aware that our Door Prints are suitable only for application to completely flat doors. If you do not require a Door Print, please select the alternative Door Set without a Door Print. 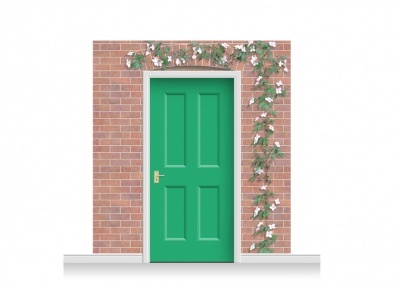 You may customise this Door Set to create a truly unique mural for your care home. If you want to customise, or are just considering it, please Save the Door Set to your Basket and then call us on 02183 712171 to discuss your requirements. Or send us an email outlining what you want and we will contact you. You may choose an alternative background wall (from our available range), to the one illustrated here. This allows a good deal of variety when building up a 'street', especially when combined with different door colours and flora.